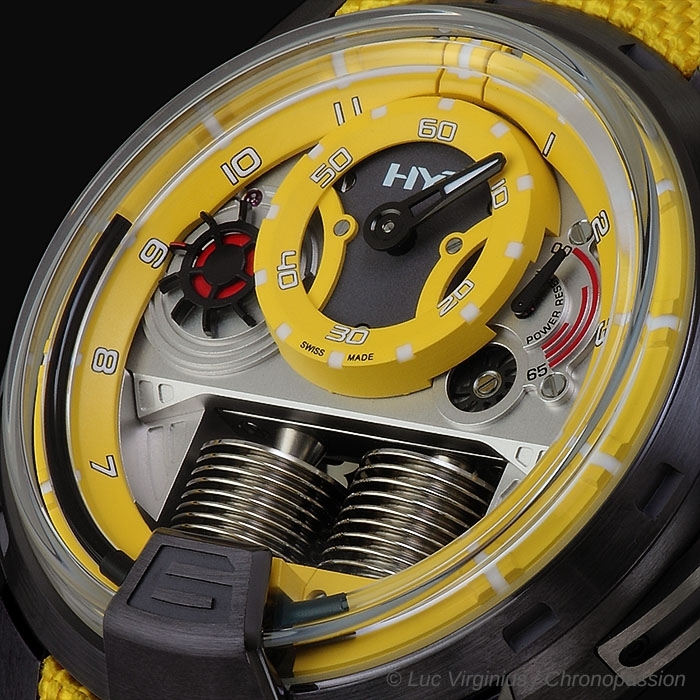 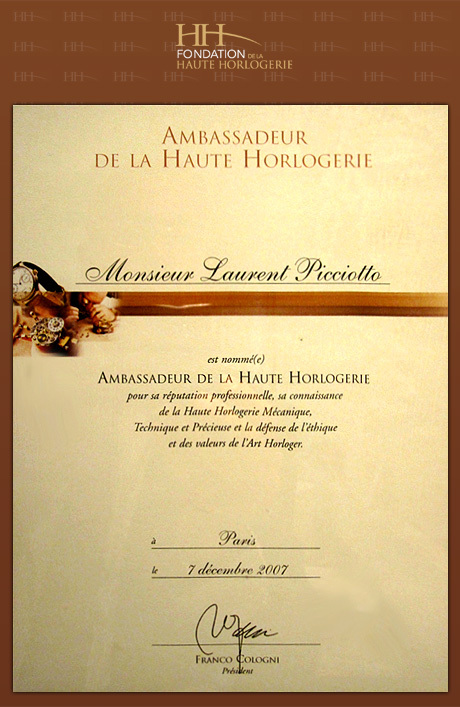 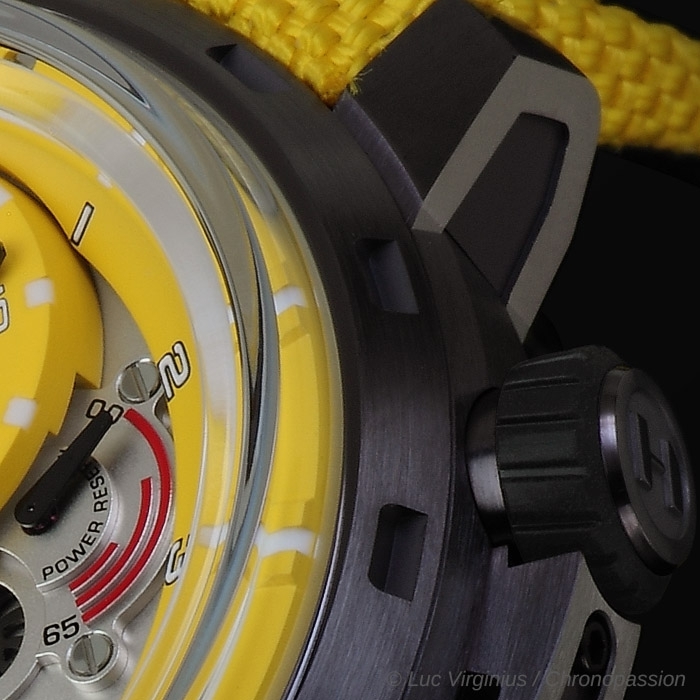 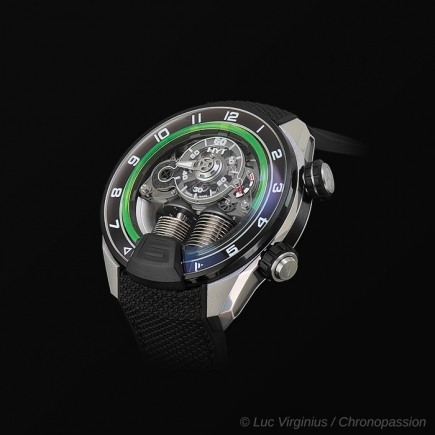 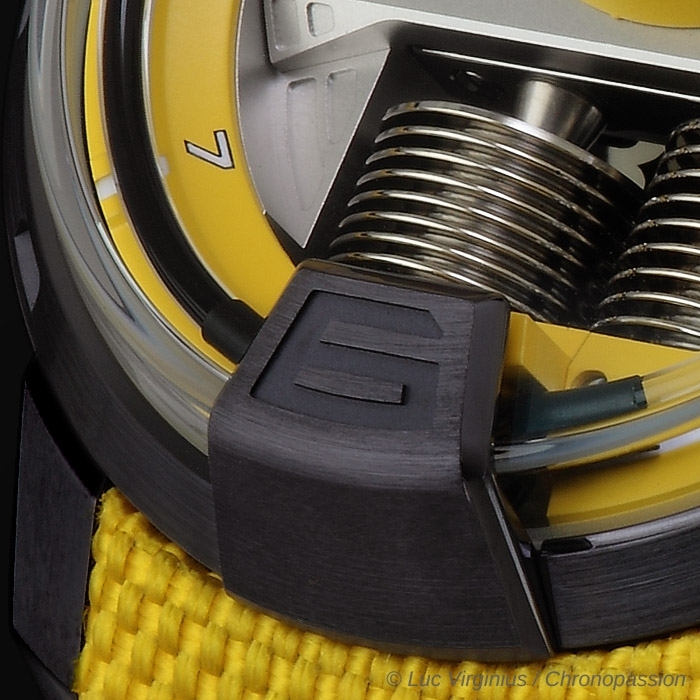 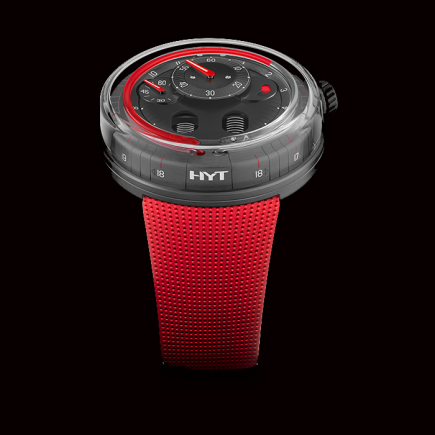 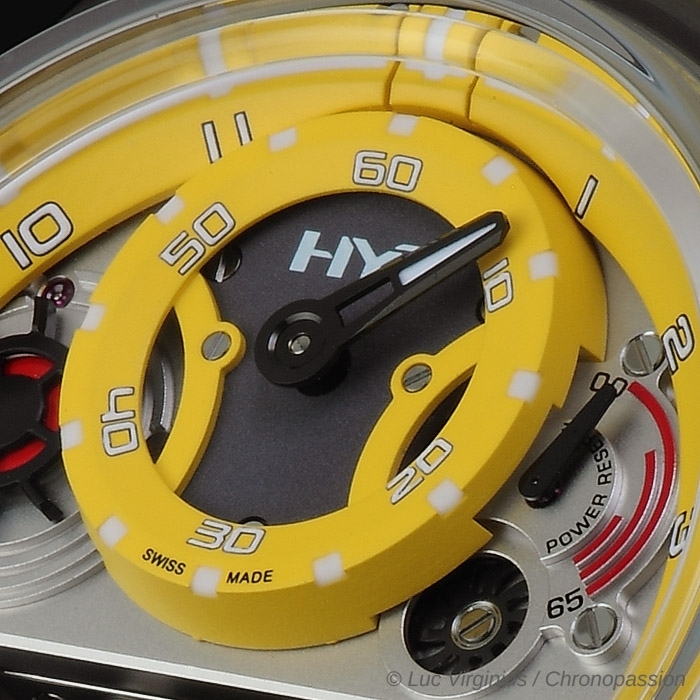 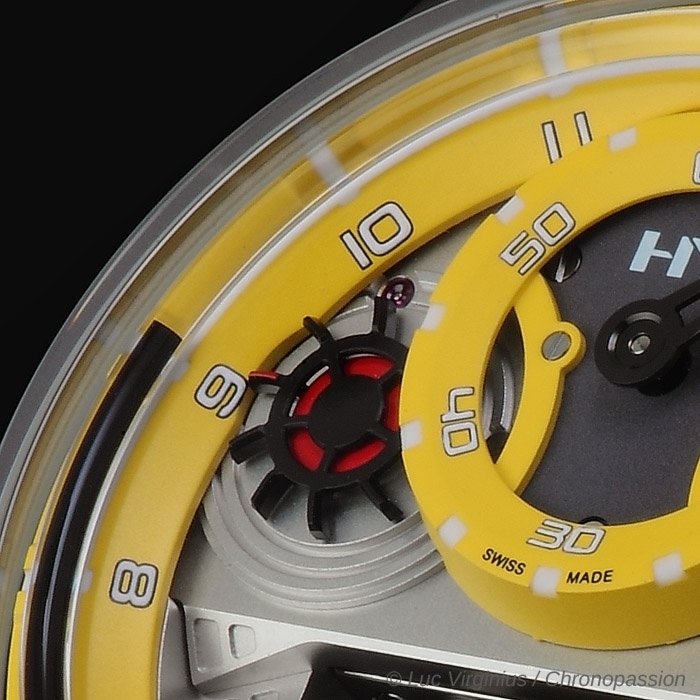 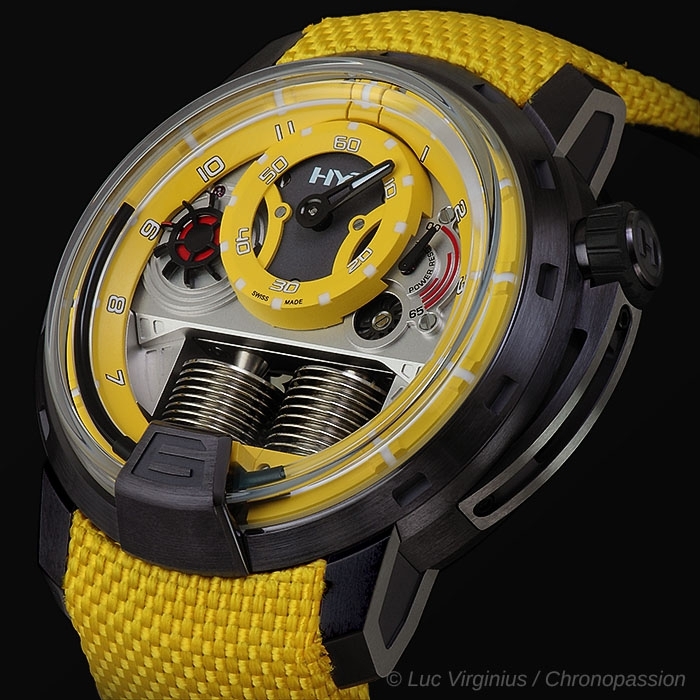 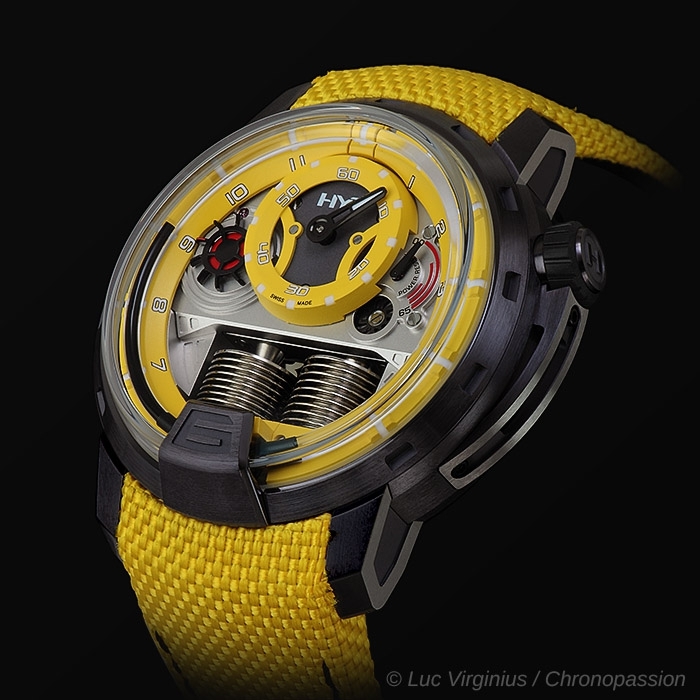 The yellow version is the most distinctive, as this is HYT's trademark colour. 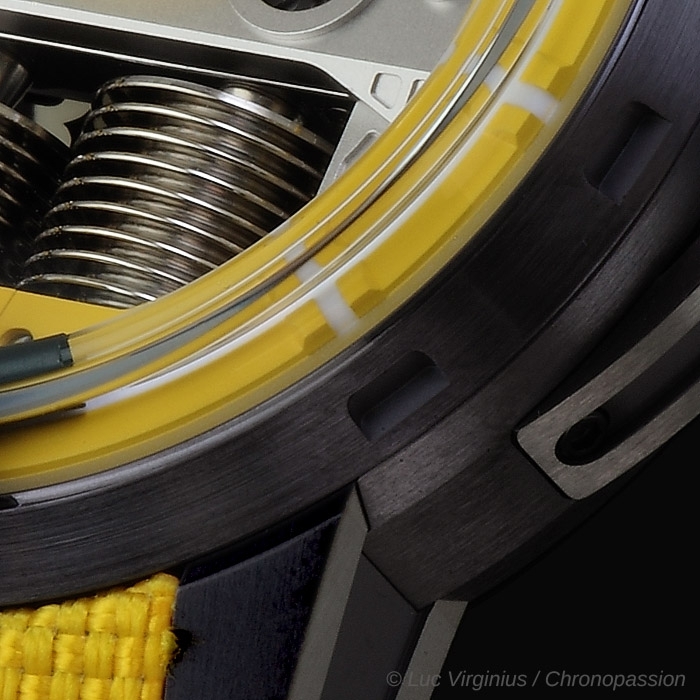 Dynamic, flamboyant and radiant, it offers an arresting contrast with the anthracite case in Gun Metal PVD. 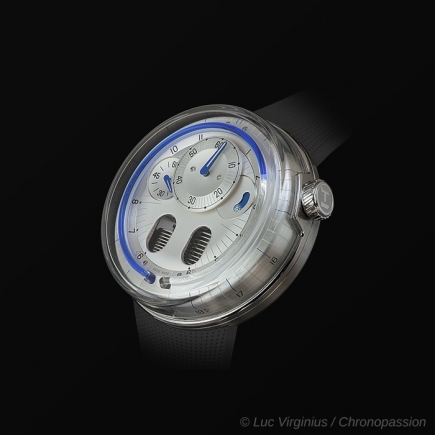 The blue version is the most subtle, featuring a glacial aura of a surprising depth.